It is not too late! The Public School Open Enrollment Application Period for the 2019-2020 School Year goes through April 30, 2019. 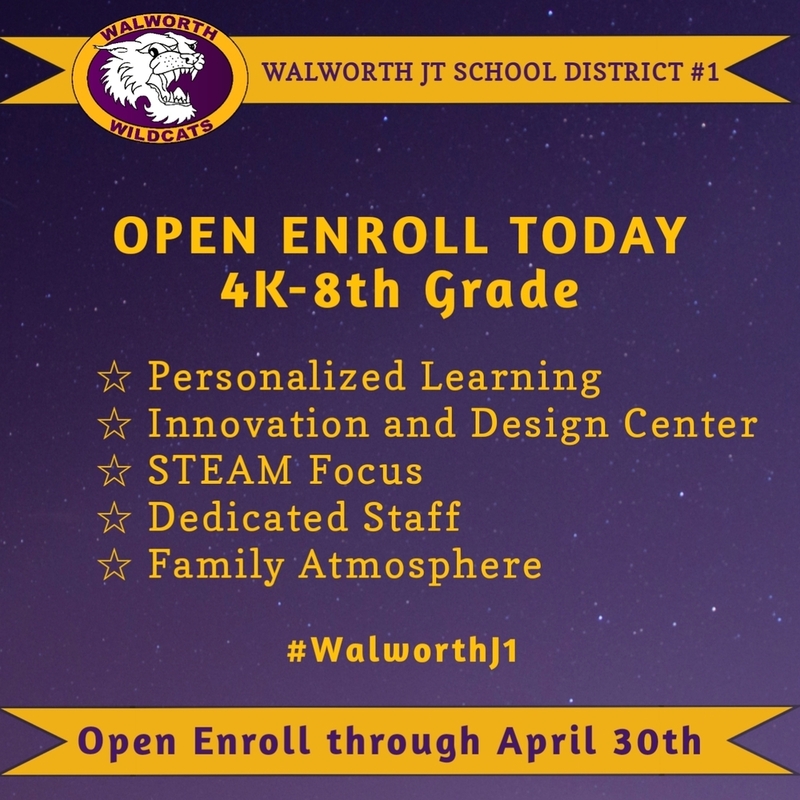 We'd love to show you why Walworth Jt. School District #1 is perfect for your student(s)! Please call (262) 275-6896 for more information or to schedule a tour.